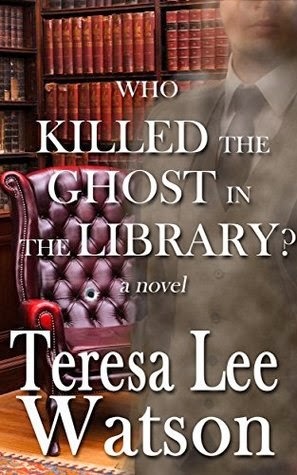 Who Killed the Ghost in the Library by Teresa Watson is available at Amazon. A nosy writer pokes around in an old cold case and brings the unidentified suspect out of hiding to spawn a new case. The story stays true to an older cozy-mystery form, hitting the usual mistakes of cozies from way back when (no one wants to discuss ages), which makes sense when you think about this style being the norm when this story was originally conceived (long ago and far away in the author's childhood): an amateur sleuth who never takes notes because of perfect memory recall, even while concussed; downplaying of police penalties for impeding an investigation; vague murder scenes, implied sexual activity. The writing is reminiscent of current paranormal authors - modern, despite the story's age, with dialogue staying true to the characters. I did find it hard to suspend my disbelief for the plot, especially the ghost. I did like the concept though - a ghostwriter pointed to cases by real ghosts. I just wish no one else could see the ghost so that the ghostwriter is forced to prove the case with real-life detective methods. I received a free copy of this book in exchange for a review. I would love to read a version of this idea written after the author became an adult and gained some world experience and will probably look up another, more recent story written by Ms. Watson.